Go beyond the basics with IntelliClick's interactive capabilities that start a "real time" dialogue with your target audience. 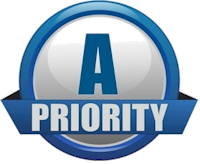 Alerts, special "one click" call to action links and analytics allow your organization to be laser focused on the best opportunities at the most opportune time. Use our "top leads" metrics to identify who is ready to buy. Smart Survey provides a streamlined way to instantly capture customer and prospect survey responses within your GoldMine CRM system. Go one step further and trigger automated actions and email alerts, based upon information captured, to further engage your sales & marketing team. Maintain the integrity of your GoldMine database. This module make it easy to confirm whether the primary contact information in your system is correct and allows updates to be made by your email recipients. An audit trail is maintained of changes made and notifications sent to those you designate. Capture anonymous web site visitor page views and referring sources. Convert visitors to new leads in your GoldMine database and see all their web site page view behavior that led up to them becoming a lead. GoldMine CRM integrated surveys provide valuable insights from your prospects and customers. Capture complete survey details instantly linked to your contacts and trigger workflow automation to follow-up on key input provided. IntelliClick combines the security of on-premise software with the efficiency and scalability of the cloud. Enjoy all the features you expect from an email marketing system including open, click and unsubscribe tracking. Included is a generous gallery of HTML email templates, a powerful online editor and effective email delivery services. Message and landing page branding is entirely exclusive to your organization. Go beyond the basics with IntelliClick's interactive capabilities that start a "real time" dialogue with your target audience. 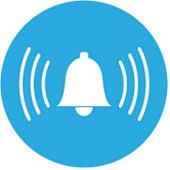 Alerts, special "one click" call to action links and analytics allow your organization to be laser focused on the best opportunities at the most opportune time. Use our "top leads" metrics to identify who is ready to buy and when. Combine your customer relationship management software with the power of IntelliClick interactive email marketing. Benefit from knowing more about your prospect and customer interests and when they are most likely ready to buy. Alert your sales team at the exact moment customers are on your web site and reacting to your email campaign. Alerts can schedule phone calls, send emails or text messages, to those you designate; insuring a timely follow-up to each campaign. Imagine email marketing that is interactive. Deliver marketing literature, enable a phone call to be requested or let your customers sign up for an event....each from a single click of the mouse. 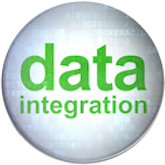 "IntelliClick is the complete package - a holistic solution for engagement, custom reporting, event registration and real-time dashboards. Bottom line, it is like having another employee in the organization - increasing and adding to our capacity!" "With the help of powerful email marketing features provided by IntelliClick, we can now communicate relevant updates and information that relates directly to our clients' unique shipping needs." "I just love working with the folks at IntelliClick! They are always one step ahead, finding ways to add even more useful features to an already amazing product! IntelliClick is easy to use, works great with my CRM, and the technical support is fantastic! My sales team loves when I send them the summary reports from email campaigns. Thank you for making my job easier!!!" Watch the video to learn more about the powerful capabilities of GoldMine CRM. 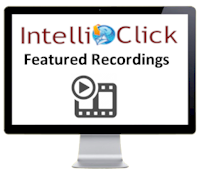 See why IntelliClick chose to integrate with this this well established business relationship management tool. Focus on the best opportunities at the most opportune time with IntelliClick and GoldMine CRM. 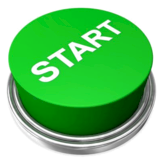 GoldMine offers the best value over time, is feature rich and easy to use, with free resources to help you get started. For over 10 years, IntelliClick has combined with GoldMine to deliver a "Best In Class" digital marketing solution.